A 50ft steel-hulled vessel which was purchased by our bishop in 2015 thanks to many benefactors who made it possible has arrived from New Zealand on Christmas day. 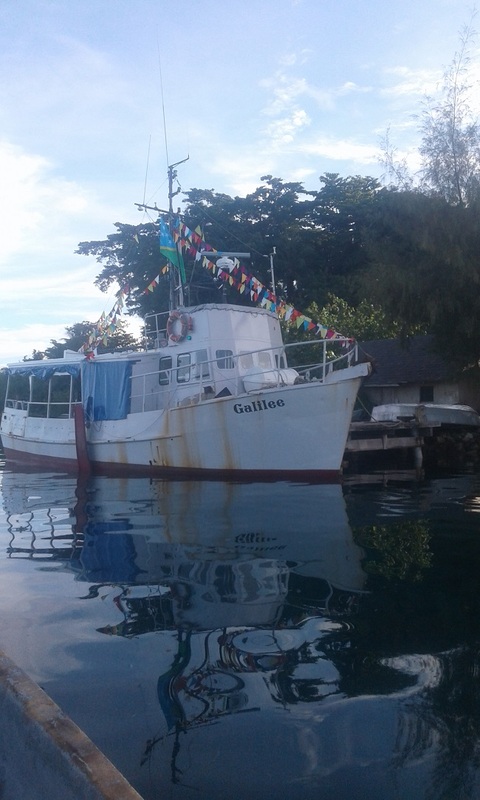 Once in service in the diocese of Gizo, the GALILEE ship will operate between the Western Province and the Choiseul Province, providing transport for people and goods, serving the schools, health centers, pastoral activities and the parishes with project activities. Ongoing assistance requires training local people with the skills to operate the vessel and maintain it, as well as management to ensure that its operating costs are sustainable. The signing of a Potion of Land. 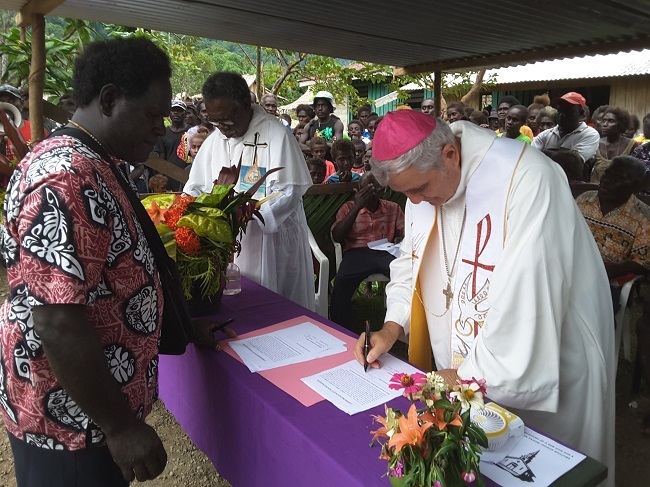 About 12 tribe chiefs of Voruvoru area within North Choiseul have agreed and signed a document to offer a portion of their land to the Catholic Church for the development of a new center where a structure will be built and human resources involved. The goal of the center to be built and run will be the bringing of the community together to dream and plan for the realization of their dreams. 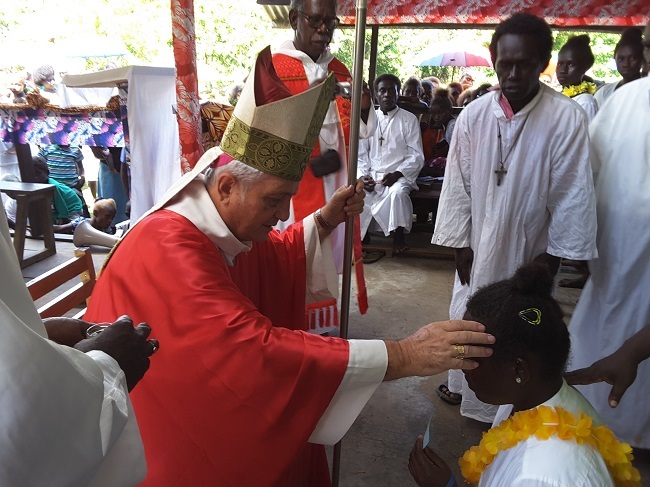 The young generations, in particular, will be assisted and formed for a better future through health and education programs, religious instruction, cultural encounters, recreational facilities, and opportunities. The dreams are big, the land is small but enough to start with…. for sure more can be invested as time and dreams will also grow. It will be all depend on the ability of the community to learn from the past and sacrifice for a better future. 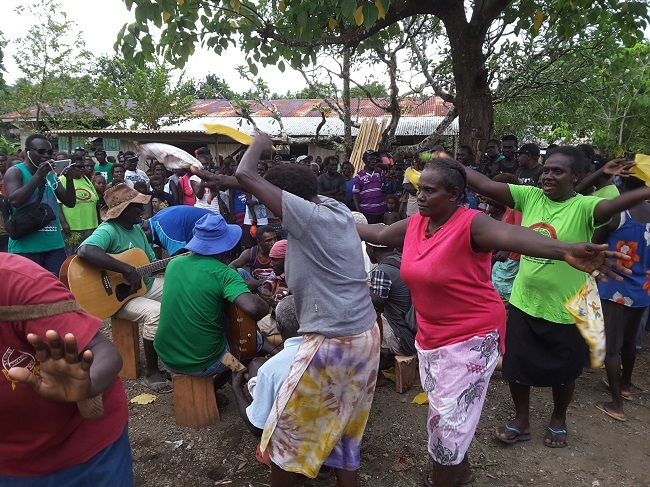 The formal signing of the agreement followed by the groundbreaking ceremony with all speeches from chiefs was indeed a great occasion witnessed by the large crowd of people who enjoyed singing and dancing with the local pan pipers. The night was very peaceful followed by the Solemn Confirmation liturgy with 93 candidates. 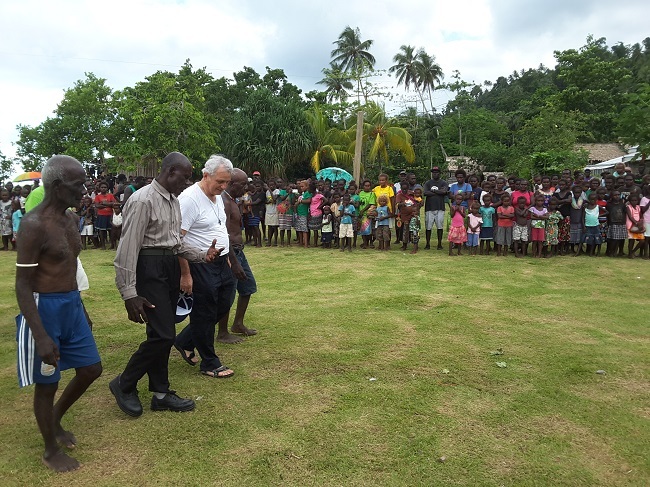 The Catholic community of Voruvoru will be the 7th parish to enjoy a new church and facilities attached to it in the post-tsunami reconstruction program of the diocese of Gizo, badly hit by the disaster of April 2, 2007. 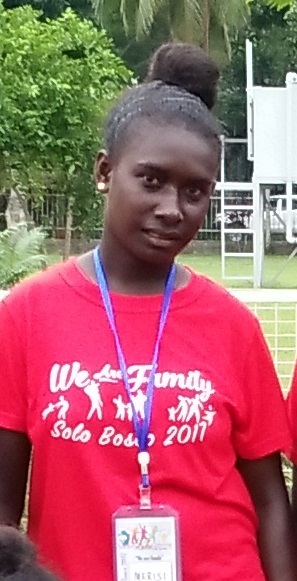 Nila Don Bosco Secondary School. It was all about experiences. I found it different at home, and at the secondary school and it was different at this gathering. Playing, sharing together, singing and praying together. More often is observing and exercising my spiritual deeds with the Salesian family. Finally, I realize it was not an entertainment. Moreover, was by observing the Spiritual life of the Salesian family. At first, I felt that I am far from them, but their programs of activities kept my attention, focused on them and I started to feel the spirituality outcome of it while involving. It was enjoyable to spend time with other youths from other Don Bosco schools. More youths who have different feelings with different ideas was indeed a good experience I came across. Grouping us together was one experience that enables me to contribute, this was by discussion, sharing and simple housekeeping etc.